In the world of employee engagement, managers and HR personnel are looking for better ways to understand their employees in order to make critical business decisions that affect the organization. 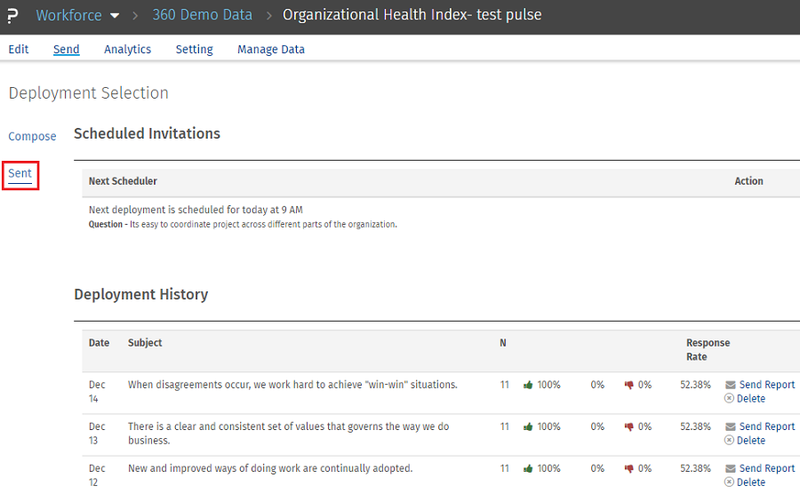 Instead of the annual employee survey that takes 30 or more minutes to complete, organizations are using the Workforce Pulse mobile application to stay connected, keep communications lines open, and allow employees to offer quick feedback while on the go. A pulse is a micro-survey sent at frequent regular intervals, usually once a week. A pulse helps you keep a real-time tab on employee satisfaction and cultural alignment; you don’t want to wait until year’s end to find out a key department is drifting away from the culture. It is a fast and frequent mobile survey system that offers quick insights into the health of a company, hence, the name ‘Pulse’. 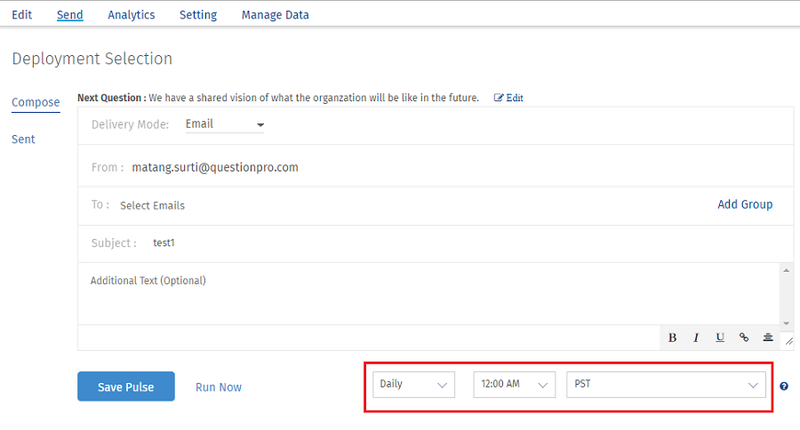 The new scheduled deployment feature on Pulse will allow survey administrators to schedule and automate deployment times to specific groups of employees. This will make scheduling and gathering feedback more efficient, and be able to deliver feedback opportunities when most convenient to the employees. The results will be higher completion rates and better feedback to be used for business decisions. Frequency: How often do you want the Pulse emailed to you automatically. Time: At what time do you want the Pulse to be deployed. Time Zone: Select the time zone for Pulse deployment. Once this is scheduled, you may access the ‘Sent’ history to view all upcoming and past sent pulses to review open and completion rates. Read more about employee engagement solutions by SurveyAnalytics and reach out to us today to begin a trial of the Pulse application.